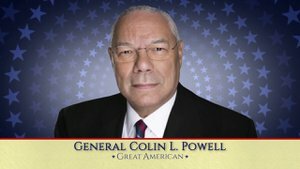 For over fifty years, General Colin L. Powell, USA (Ret. ), has devoted his life to public service. 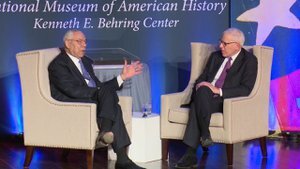 Having held senior military and diplomatic positions across four presidential administrations, Powell’s deep commitment to democratic values and freedom has been felt throughout the world. From 1987 to 1989 Powell served as President Ronald Reagan’s national security advisor. He served from 1989 to 1993 as chairman of the Joint Chiefs of Staff for both President George H. W. Bush and President Bill Clinton. He was not only the youngest officer and first ROTC graduate to ever serve in the position but was also the first African American to do so. During his time as chairman, he oversaw 28 crises, including the Panama intervention of 1989 and Operation Desert Storm in 1991. Under President George W. Bush, Powell was appointed the 65th secretary of state and was unanimously confirmed by the U.S. Senate. As secretary of state, he led the State Department in major efforts to address and solve regional and civil conflicts. He used the power of diplomacy to build trust, forge alliances, and then help transform unstable regions into areas where societies and cultures have the potential to prosper. 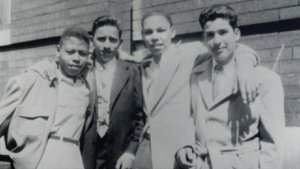 He also worked at the forefront of American efforts to advance economic and social development worldwide. 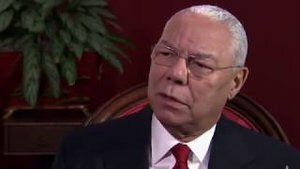 Powell is the chair of the Board of Visitors of the Colin Powell School for Civic and Global Leadership at his alma mater, The City College of New York. He also chairs the Eisenhower Fellowships. Powell serves on the Board of Directors of Bloom Energy and Salesforce.com and is a strategic advisor at Kleiner Perkins Caufield & Byers. His autobiography, My American Journey, was a best seller and has been published in more than a dozen different languages. Powell's second book, It Worked for Me, was an instant New York Times best seller and reveals the lessons that shaped his life and career.